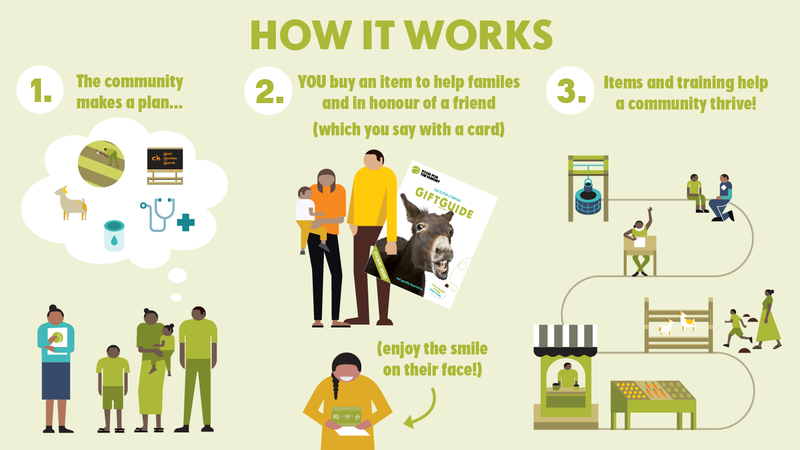 We realize that charity gift catalogues can be confusing - you’re buying a gift but you don’t receive a gift, but someone in North America gets the gift...but not really - they get a card, not a gift... Sooo, who gets your goat? 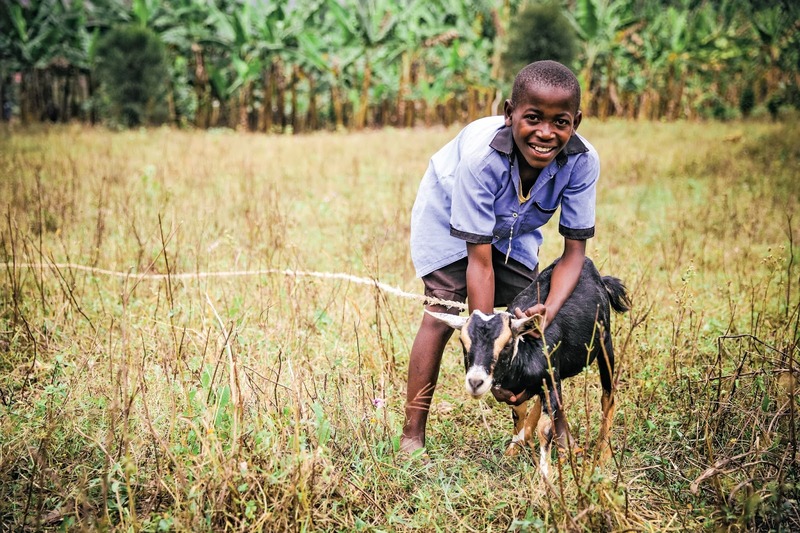 In this article, we’ve tried to tackle some of the most common questions we get about how the Food for the Hungry (FH) Gifts for Change Gift Guide really works, through the lens of one of our most popular gifts - the goat! But the answers can be applied generally to our other gifts, as well. Feel free to contact us to ask more questions - we’re proud of our Gift Guide and we want you to be 100% confident in the gift you’re making! 1. 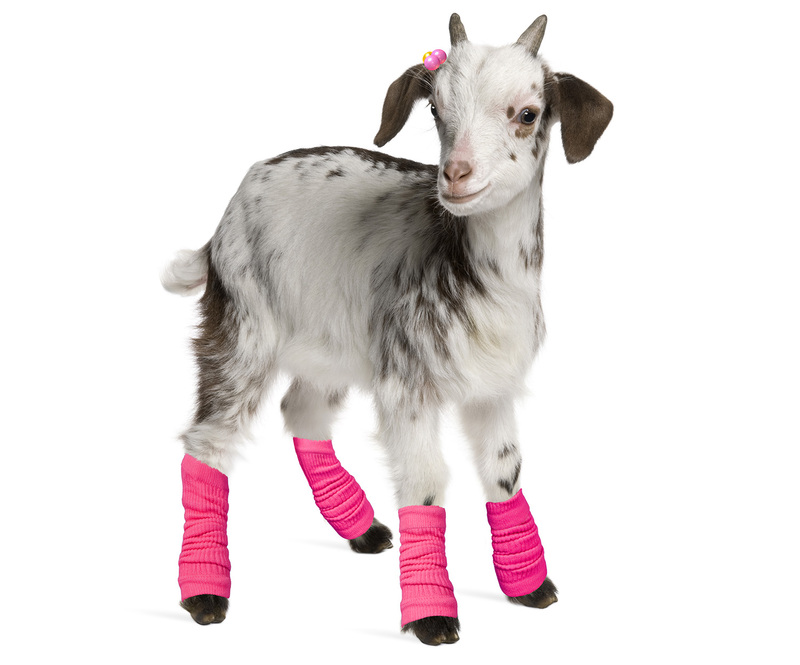 Is my goat real, or is purchasing an animal just another marketing trick? 2. What’s included in the price of my goat? 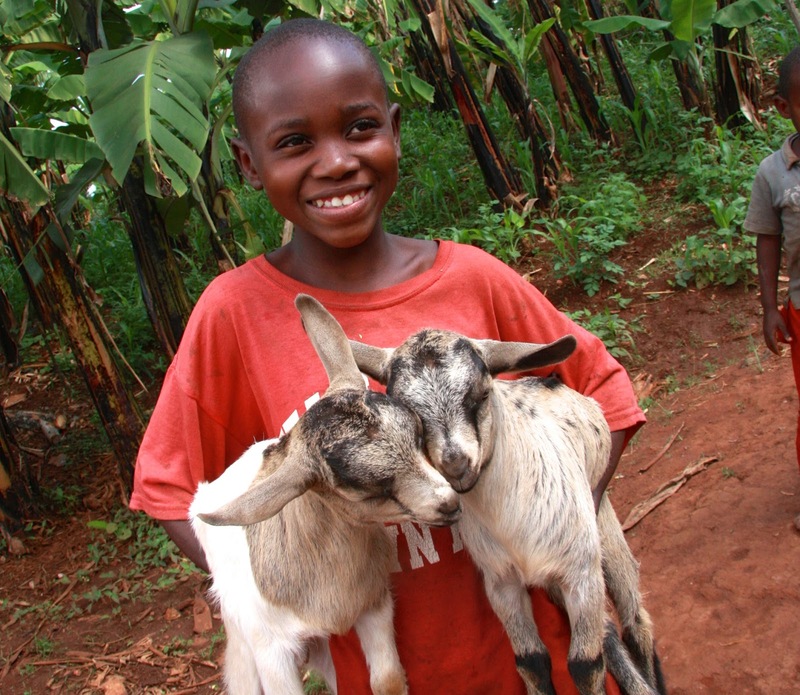 Your $75 contributes toward the purchase of real goats that are given to real families. It also pays for animal husbandry training so that the new owners of those goats can learn how best to feed, house, breed, and keep their animals healthy. Trained FH staff even visit the new owners at their homes, periodically throughout the year, to see how the animal is doing and to give advice if they have any questions. That’s a lot of bang for your buck! 3. How does my goat end poverty? 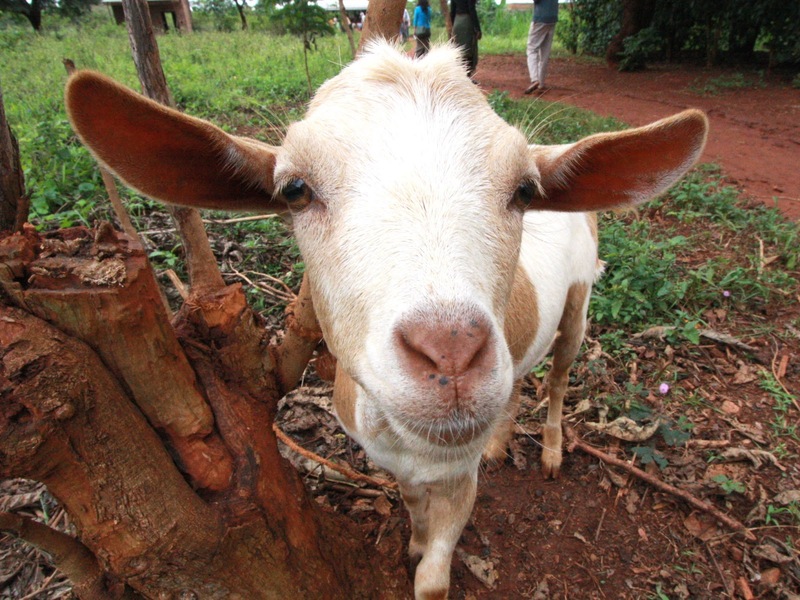 We’re sad to say, goats alone don’t end poverty. Air-dropping an animal into someone’s lap and walking away won’t help them end their poverty. But incorporating local animals into agricultural and livelihood programs sure will! Goats produce a lot of manure, which when incorporated into hot composting, turns into rich fertilizer that helps families grow nutritious food, and more of it! Female goats can be used for milk that is drunk by the family and sold in the market. Goat offspring can either be sold in the market for a profit or kept to build up a small herd that will serve as a sort of long term savings account for the family. 4. What if not enough goats are bought? Or, what if too many goats are bought? Goat distribution in Burundi, 2017. If not enough goats are bought from the Gift Guide, FH will continue fundraising until we meet the pledge we’ve made to our partnered communities. 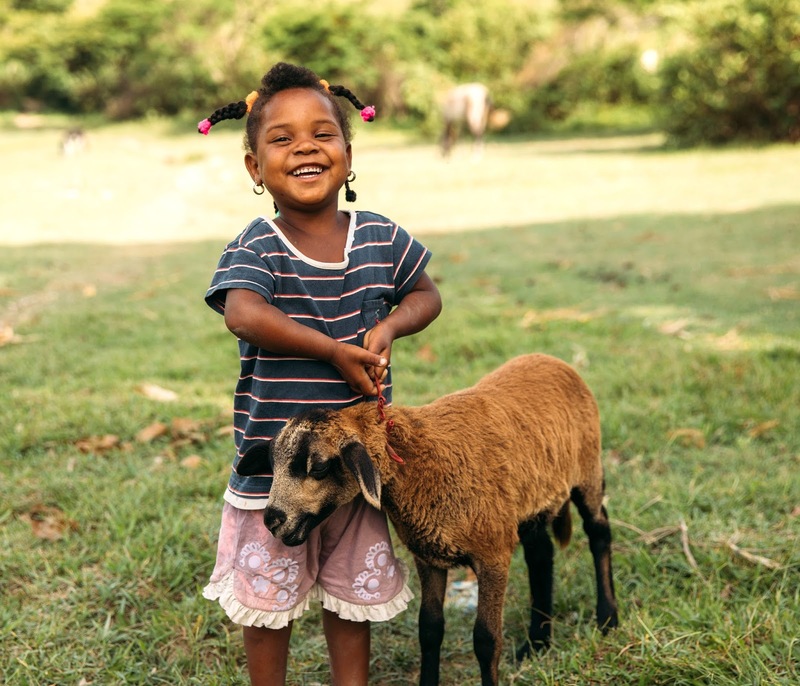 If, however, more Gift Guide goats are bought than the fields plan to distribute at that time, FH will put your money toward expanding the program to new families or equipping community members with alternative livelihoods training. 5. Is my goat really what a poor person wants, or is this whole thing just about Western “feel good”? Can’t we have our cake and eat it, too? FH staff only give goats to the families that volunteer to receive goats. And they only distribute goats because they have compelling evidence that livestock improve the agriculture, health, and income of a community. AND, giving goats does feel good! It makes a person feel good to help another family, whether that family lives next door to you or on the other side of the world. So let’s eat our cake! 6. Will the local community perceive unfairness in who is chosen to receive my goat? Excellent question! Because the goat is being given within the context of a community development plan that local leaders created in partnership with FH, our hope is that these gifts promote peace, not division. While it’s true that the most vulnerable families are prioritized, and not all families who sign up always receive a goat during the same distribution, they will be first in line the next time a distribution occurs. 7. Will they mistreat my goat? The family who receives your goat will cherish it as a key part of their future income, health, and success. They will keep the goat healthy, well-fed, clean, and safely sheltered. They will not, however, paint its hooves, put bows in its hair, or give it leg warmers - that would just be weird. 8. Can the family who receives my goat afford to feed it? Yes! Because the family and the goat don’t eat the same food, there’s no competition there. And the training that your $75 includes teaches the goat recipient how to grow fodder for their animals. While this does take up land and water resources, the payoff from selling animal products and using animal manure in their fertilizer more than compensates for the cost of growing food for the animal. In the end, the family eats more with a goat than before they got one. 9. What happens to my goat’s babies? Proudly showing off his baby goats in Kayanza, Burundi. FH is proud that our partnered communities practice a “payback” model...which is really more like “paying it forward”. Each goat recipient commits to giving the first offspring to a neighbouring family who is waiting for a goat. In this way, your goat keeps on giving, long after your $75 have been used up. This practice of generosity also helps communities take ownership of their own development and addresses issues of perceived favouritism (e.g. “Why did you get a goat and I didn’t?” Answer: “I’ll give you my goat’s first kid.”). 10. What makes my goat an “ethical gift”? I guess that would depend on what you think of as an “unethical” gift. A goat is not manufactured by exploited workers in a foreign factory. A goat does not consume irreplaceable precious minerals from the earth. 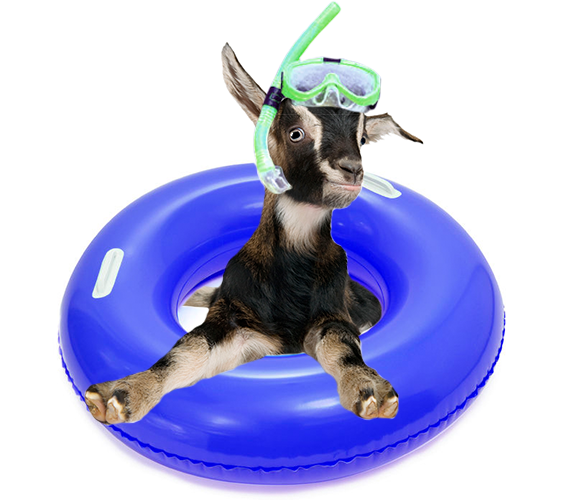 A goat does not burn fossil fuels, or contaminate the ocean, or cut down trees. 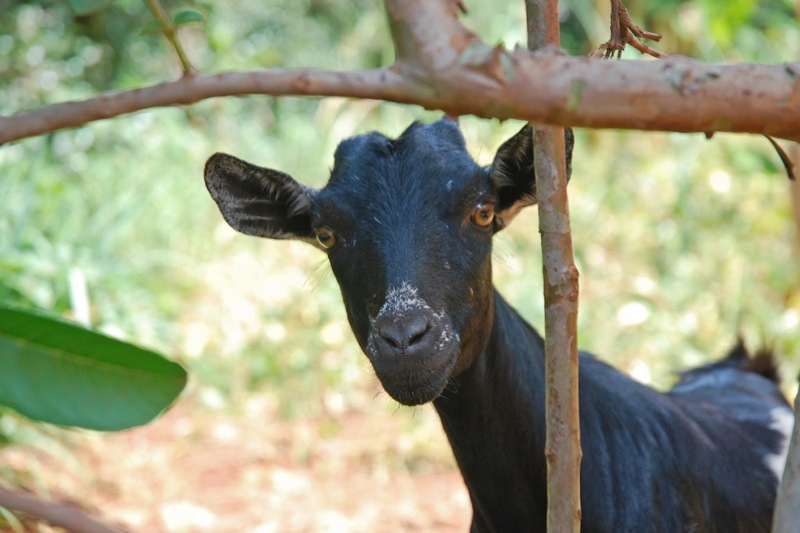 A goat can provide milk, manure, meat, and income to a family stuck in poverty. 11. Is my goat bad for the environment? There’s an argument that livestock are bad for the environment because uncontrolled grazing contributes to desertification (which can lead to drought), and animal flatulence and burps contribute to ozone degradation (yep, it’s a real thing!). Your goat is not going to do either of those things. As part of your $75, FH staff train new goat owners on how to sustainably feed their animals so that natural forests and grasslands can continue to flourish. As for putting a hole in the ozone, we’re not the experts, but many sources seem to agree that specific Western industrial cattle farming practices (beef and dairy) combined with over-consumption of beef in the West seem to be the biggest drivers of methane emissions from farm animals. So...maybe consider eating less beef and drinking less milk? 12. Isn’t it just a massive waste of money to ship goats from Canada to other countries? Yes! Shipping animals from North America to Africa, Asia, or Latin America would be a colossal waste of your $75. Food for the Hungry purchases local livestock because local animals are more resilient to the local climate, it’s more fiscally and environmentally responsible, and it supports the local economy. 13. Do goats cost the same in each community? Short answer, no. The price we list in the Gift Guide is our best estimate for what a goat and training for one farmer would cost, but the price varies from country to country and year to year based on the local economy. 14. Will I get a photo of my goat? Um, no. You can go to the FH blog and read stories and see pictures of real goats given by real Canadians...but you won’t get a photo of the exact goat you’ve bought. Hundreds of goats are bought from the Gift Guide each year, so it would cost significant money, time, and headache to match each goat with each donor. Because FH works hard to cut overhead expenses wherever possible so that maximum impact can be made with your $75 at the field level, you sadly won’t get a picture of your goat. Since 1996 charity organizations have been using gift catalogues to raise funds, specifically around the Christmas season. FH Canada launched our first gift catalogue in 2006. It’s come a long way since then! For those of us who do better with pictures than words - here’s how it works.